ESPN’s annual ESPY award show is presented to recognize athletic achievement during the preceding calendar year. The ESPY ceremony stands for Excellence in Sports Yearly. Two athletes connected with Lake Tahoe received ESPY awards for Best Action Sports Athlete. Shaun White, spokesperson for Northstar California, took his fifth-straight ESPY Award. White is known for his dominance in the superpipe. Last year he received a perfect score in Winter X Games snowboard superpipe. 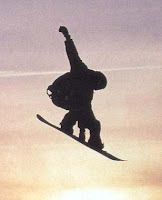 White actually practiced in Northstar’s superpipe on more than one occasion. Jamie Anderson, from South Lake Tahoe, received the award for best female Action Sports Athlete. Anderson won gold at two Winter X Games for snowboard slopestyle. Anderson also dominated in the Global Open Series and the TTR World Snowboard Tour. Anderson doing what she does best at the Winter X Games.